We are Manufacturer & Exporters of Carbon API 5L Grade B Seamless Pipe, Carbon API 5L ERW Pipe, Carbon Steel API 5L Grade B Welded Pipe Supplier in India. 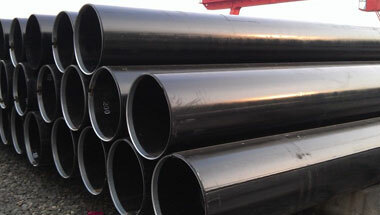 We Neon Alloys, manufacture & export wide range of API 5L GR.B PSL 1 / PSL 2 Line Pipe. The offered pipe is manufactured with precision from quality approved material in compliance with quality standards. This pipe is properly tested on various parameters in order to supply a faultless range. It includes standard-weight and extra-strong threaded line pipe. It includes standard-weight and extra-strong threaded line pipe and standard-weight plain-end, regular-weight plain-end, special plain-end, extra-strong plain-end, special plain-end, extra-strong plain-end pipe, as well as bell and spigot and through-the-flow line(TFL) pipe. Carbon steel API 5L GR.B PSL 1 / PSL 2 Line Pipe is used in the most critical engineering applications and also in oil & gas, LNG, Thermal & Nuclear Power Plants, Chemical Industries, Fertilizers Plants, (petro) chemical, shipbuilding, desalination, water treatment, energy industries, EPC and Pipes for General Engineering Purpose. API 5L Grade B Line Pipe, API 5L Grade B Seamless Pipe, Carbon API 5L Gr B Welded Pipe, API 5L ERW Line Pipe, API 5L Gr B PSL 2 Seamless Pipe Manufacturer in India. Angola, Thailand (Bangkok), Democratic Republic of the Congo, Chine, Israel, Algeria, Mozambique, South Africa, United States, Ghana, Brazil, Iraq, Mexico, New Zealand, Trinidad and Tobago, Peru, Colombia, Indonesia, Jordan, Nigeria, Vietnam, Australia, Venezuela, Houston, Uganda, Dubai, Africa, UAE, Kuwait, Germany, Argentina, London, Sudan, Cameroon, Canada, Kazakhstan, Azerbaijan, Russia, Morocco, Saudi Arabia, Egypt, UK, Tunisia, Sri Lanka, Malaysia, Ethiopa, Iran, Italy, Turkey, Bahrain. Kaduna, Durban, Cairo, Brazzaville, Maputo, Freetown, Istanbul, Fez, Soweto, Dakar, Cape Town, New York, Giza, Mogadishu, Amman, Benin, Byblos, Lubumbashi, Accra, Abu Dhabi, Khartoum, Luanda, Dar es Salaam, Muscat, Beirut, Mbuji-Mayi, Kampala, Lusaka, Ibadan, Antananarivo, Mecca, Jeddah, Lagos, Johannesburg, Addis Ababa, Aqaba, Zaria, Cairo, Dammam, Subra al-Haymah, Tel Aviv, Harare, Ouagadougou, Alexandria, Kinshasa, Colombo, Dubai, Kolwezi, Omdurman, Abidjan, Yaoundé, Doha, Tehran, Rabat, Bamako, Sharm el-Sheikh, Port Elizabeth, Data from the UN, Port Harcourt, Casablanca, Kano, Manama, Jerusalem, Hong Kong, Algiers, Tripoli, Singapore, Conakry, Douala, Maiduguri, Riyadh, Bulawayo, Pretoria, Bethlehem, Nairobi.